Nintendo and the Pokémon company recently announced the upcoming Wii U Nintendo eShop release of Pokémon Rumble U: a fun packed action game, with intuitive controls and wild battles! The game is scheduled to launch on August 15th. 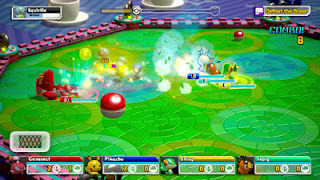 Pokémon Rumble U is the tale of the Toy Pokémon’s great adventure: after a mishap in the Toy Pokémon Shop, a few Pokémon capsules are swept down a river and washed up on a strange riverbank. 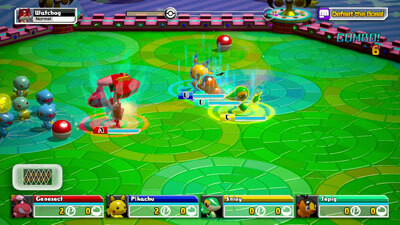 Our heroes set out to find their way back to the Toy Pokémon Shop. Along the way our heroes discover all is not right: Can you help our friends discover why some of the Toy Pokémon are fighting each other, and what the enemy Pokémon are plotting? 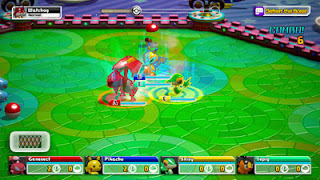 Featuring every last one of the 649 Pokémon that have been discovered as far as Pokémon Black Version 2, and Pokémon White Version 2, with hundreds of moves to master Pokémon Rumble U will provide hours of entertainment for fans and new comers alike. Pick up and play controls will allow players to jump in and play solo, or with friends, as they accompany our intrepid heroes on their quest to return to the Pokémon Toy Shop. 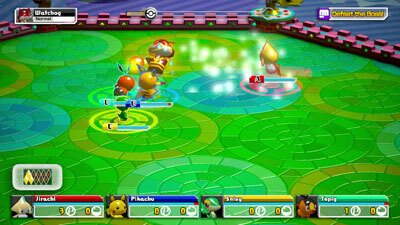 They will pass through a variety of fun-packed locations, like Sparkly Playland, Mysterious Forest, and Blue Sky Park. 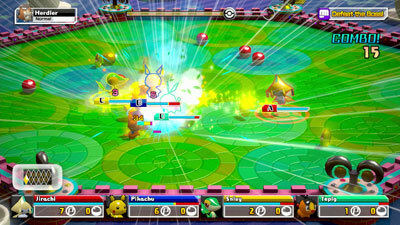 Up to four players can enjoy multiplayer battles: with cooperative play to defeat the strongest enemies with team work, or head to head battles to see who can defeat and befriend the most Pokémon in one go.